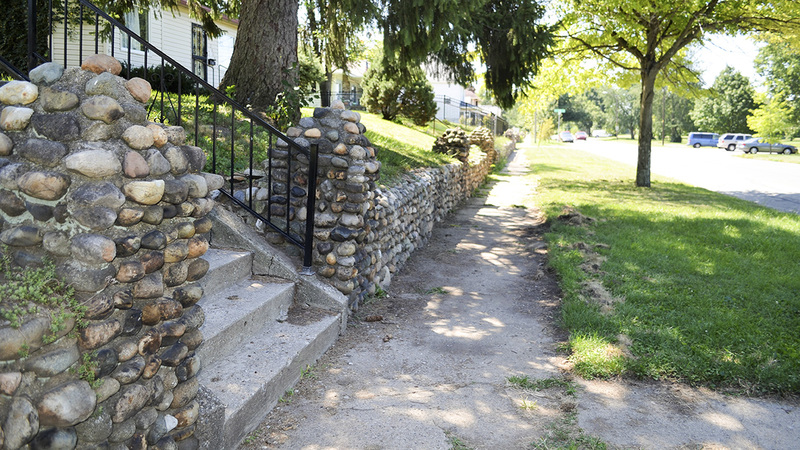 Located on the near northwest side of Indianapolis, this topographically flat historic neighborhood abuts the eastern border of Riverside Park. Founded as a “streetcar suburb” during the early twentieth century when public transportation was extended to reach the area from downtown, the district comprises six additions and spans 45 years of development. Bounded by 21st and 27th Streets, Riverside Drive, and Harding Street, the Parkway Addition was the first to be established in 1902 by real estate developers August Wacker and Hiram Miller. 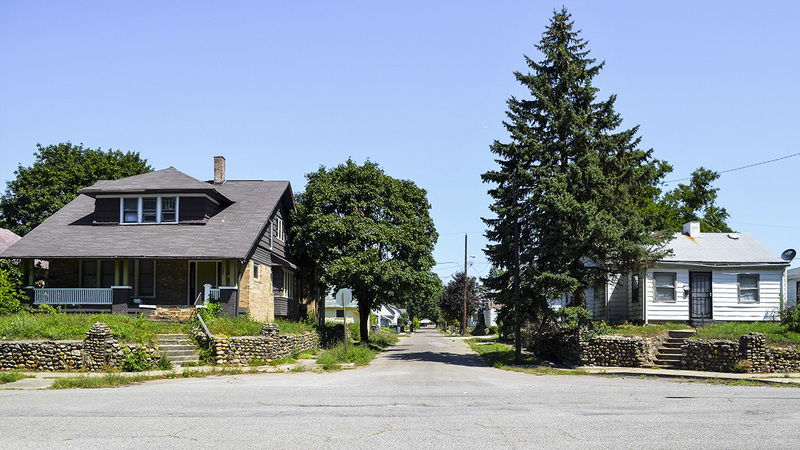 It includes 410 individual lots laid out as a continuation of the city grid with sidewalks, tree-lined streets, generous setbacks to houses, and rear alleys paved in gravel. 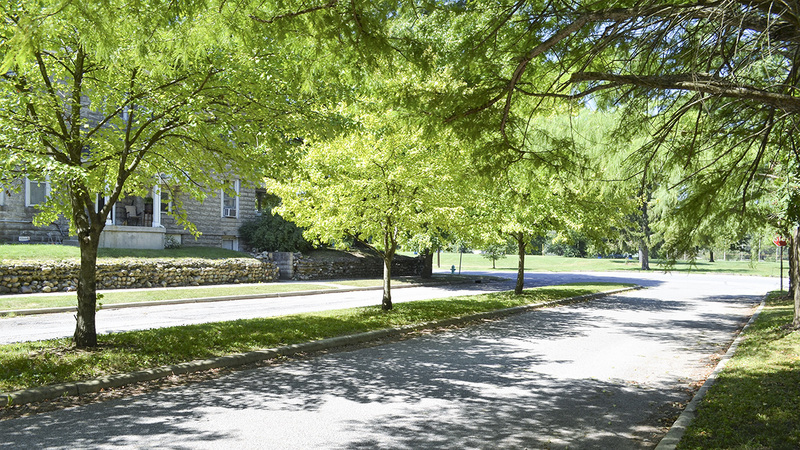 Its layout and design embody principles of the City Beautiful movement, with streets that incorporate wide east-west boulevards and central medians planted with grass and mature shade trees, landscaped traffic circles, and glacier boulder retaining walls and raised lawns lining the properties along the park. 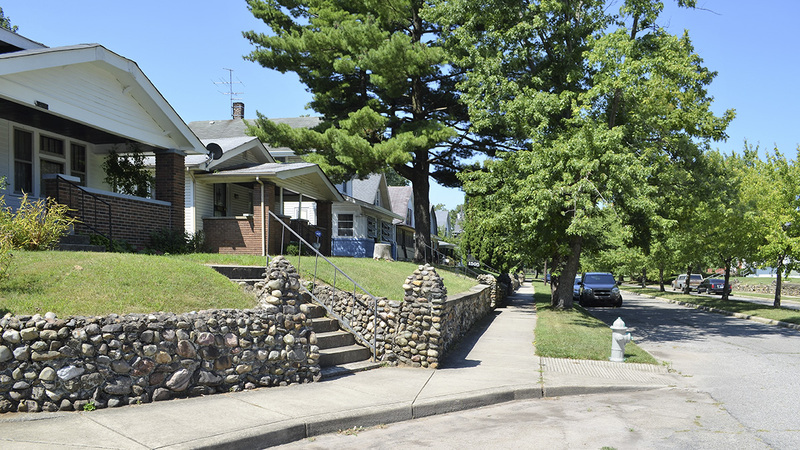 The neighborhood was a great success and ultimately extended to 29th Street with the First Addition (1907), Parkview Addition (1923), Royal Parkview Addition (1926), Riverside Addition (1945), and West 28th Street Subdivision (1947). 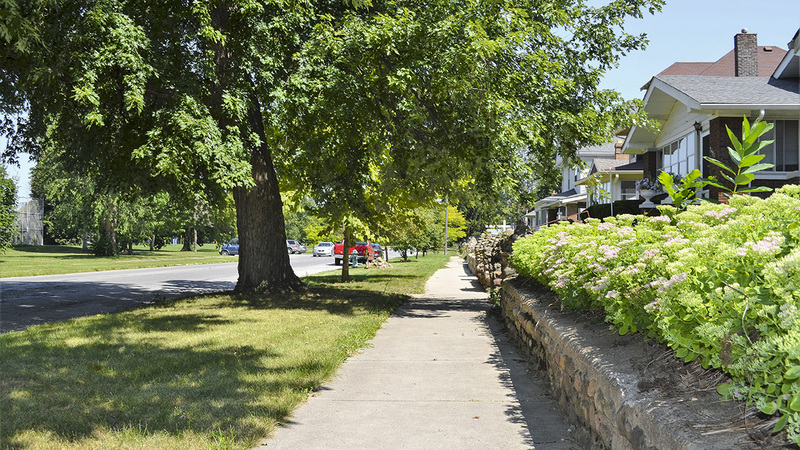 Many of the district’s major north-south streets intersect with Burdsal Parkway (constructed in 1913), providing connectivity to the Park and Boulevard System. Maintaining visual cohesion throughout the district, lawns provide a dignified foreground setting for each house, while street medians are planted with grass and trees. 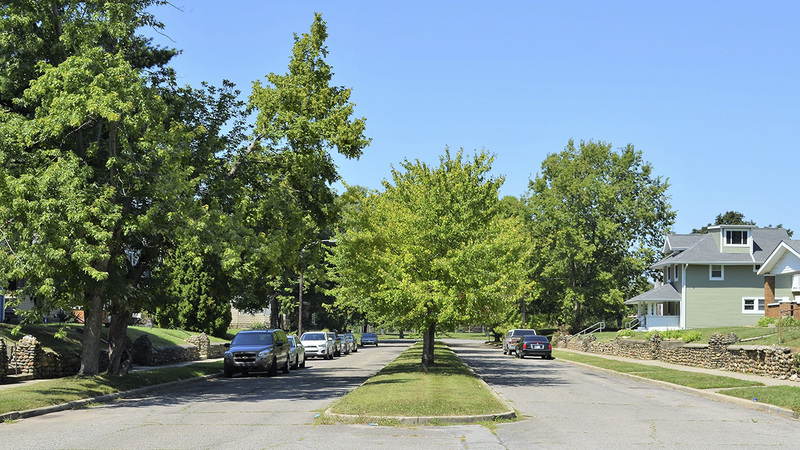 Riverside Drive Historic District was nominated for inclusion in the National Register of Historic Places in 2015.